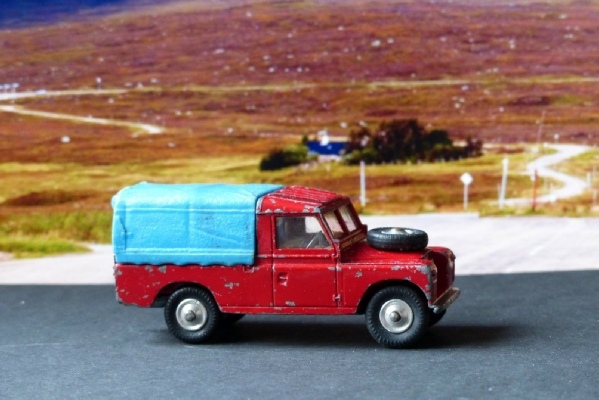 A Chipperfields Circus red Land Rover with blue plastic canopy. The Land Rover has a few marks but is original and in good condition overall with a clean blue canopy. There are no stickers on the canopy but they are easy to find as replacements and simple to apply. There is a small crack in the passenger window. The hook is present and suspension sound.